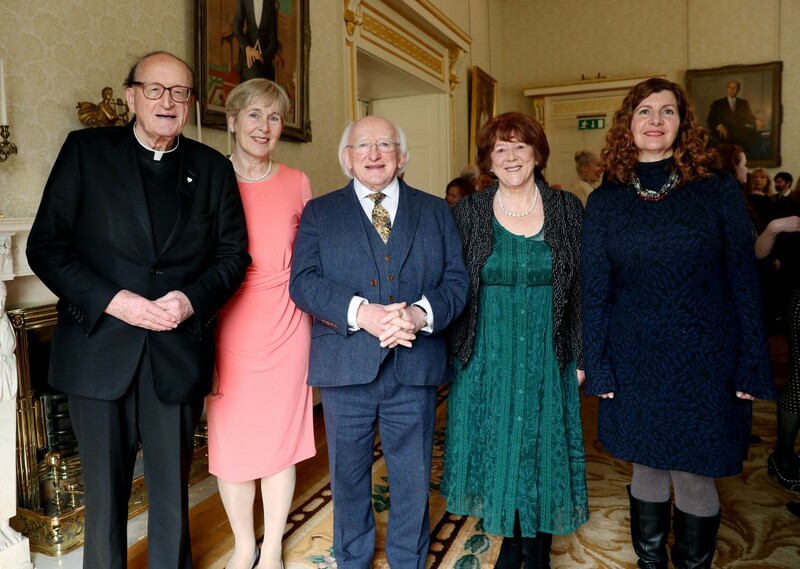 Éilís Ní Dhuibhne was presented with the Irish PEN Award for Outstanding Contribution to Irish Literature 2015 at the Irish PEN Award Dinner on Friday 20th February 2015. The dinner is held each year at The Royal St George Yacht Club, Dún Laoghaire, Co. Dublin and open to both members and non members of PEN, was a packed house. With the award presented by Aodhán Ó Ríordáin TD, Minister of State for Equality, New Communities & Culture, the evening was a true celebration of Éilís’ contribution to Irish Literature. Irish PEN is the Centre in Ireland for PEN, an international association of writers which promotes literature and defends freedom of expression. Anyone can sign the PEN Charter on www.irishpen.com and associate membership is open to all. Full membership is open to all qualified writers who sign the charter. PEN, which stands for poets, playwrights, editors, essayists and novelists, is a non-political organization with special consultative status at UNESCO and the United Nations. Founded in 1921, it has from its earliest days in Ireland been associated with Lady Gregory, W.B. Yeats, and Lord Longford. The President of Irish PEN is the acclaimed playwright Brian Friel. In 1998 Irish PEN set up an award to honour an Irish writer who has made an outstanding contribution to Irish Literature. This Award is for a significant body of work, written and produced over a number of years, and is open to novelists, playwrights, poets, and scriptwriters. Full and associate members of Irish PEN, as well as previous winners, nominate and vote for the candidate. The writer is presented with the Award in the company of other writers at our annual dinner. Éilís Ní Dhuibhne was born in Dublin in 1954 and is a graduate of UCD. She studied at UCD – studying Pure English for the BA, doing an M Phil in Middle English and Old Irish, and finishing in 1982 with a Ph D in Folklore. From 1978-9 she studied at the Folklore Institute in the University of Copenhagen as a research scholar, while researching her doctoral thesis. She published her first story in the New Irish Writing Page in the Irish Press, in 1974. Her first book was published in 1988, Blood and Water, and since then she has written about 24 books, including novels, collections of short stories, several books for children, plays and non-fiction works. She writes in both Irish and English. 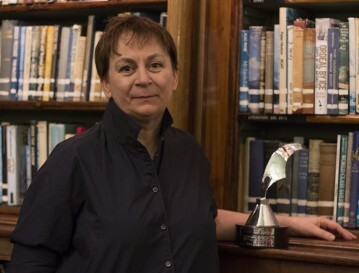 She has won several awards for her writing over the years including The Bisto Book of the Year Award, the Readers’ Association of Ireland Award, the Stewart Parker Award for Drama, the Butler Award for Prose from the Irish American Cultural Institute and several Oireachtas awards for novels and plays in Irish. The novel The Dancers Dancing was shortlisted for the Orange Prize for Fiction. Her stories are widely anthologized and translated. Her latest novel for young people, Dordán, was published in autumn 2010, and the last collection of short stories, The Shelter of Neighbours, was published in 2012. She was elected to Aosdána in 2004. This entry was posted in Events, Irish PEN Award for Literature on 30 March, 2015 by Vanessa O'loughlin.